Alcohol can cause headache in sensitive people. In most people alcohol intoxication by itself does not cause headache during drinking. Hangover headache develops in some people several hours after stopping excessive drinking; it is usually associated with nausea and it resolves on its own in several hours. In Asians, drinking even small amounts of alcohol can cause flushing and headache (Asian flush reaction). Other causes of alcohol-related headache include a drop of blood glucose levels (hypoglycemia) after binge drinking, sensitivity to histamine, sulfites, etc. Below, headaches are listed in a (rough) order according to how quickly after drinking alcohol they appear. Alcohol intolerance or Asian flush reaction includes flushing of the face, stuffy and runny nose, headache and nausea within few minutes after starting drinking, mostly in Eastern Asians (Chinese, Japanese, Koreans). A very small amount of alcohol, such as a glass of wine, can trigger the reaction. The cause is a genetic lack of the enzyme ALDH2, which results in a buildup of acetaldehyde in the blood. Disulfiram-alcohol reaction (disulfiram is a drug intended to prevent drinking). Symptoms, which include facial flushing, headache, nausea, sweating, breathing difficulty and anxiety, appear about 10 minutes after starting drinking and lasts for 1 hour or more. Disulfiram-like reaction also occurs after drinking denatured alcohol (isopropyl alcohol, rubbing alcohol). Immediate histamine-induced headache is a bilateral pulsating headache in the front of the head that appears within 10 minutes of histamine absorption and disappears within 1 hour . Histamine in high amounts can be found in red and white wine, champagne and beer. Antihistamines, such as loratadine, may help. Delayed histamine-induced headache appears within 5-6 hours of histamine absorption and disappears within 72 hours . Antihistamines, such as loratadine, may help. Red wine headache (RWH) is quite known, but not its exact mechanism; a combined effect of ethanol, histamine, tyramine, phenylethylamine and tannins may be involved. A low-histamine diet may prevent headache in some individuals. Red wine or other alcoholic beverages often trigger cluster headache in susceptible individuals . Immediate alcohol-induced headache (rare) is a bilateral pulsating headache on the front of the head that appears within 3 hours of alcohol consumption and disappears within 72 hours . A pulsating pain appears in the front and in the temples on both sides. Hangover headache (delayed alcohol-induced headache) appears few hours after stopping drinking, when the blood alcohol concentration approaches zero, and may last for several hours, usually less than 24 hours . Hangover headache is usually throbbing and bilateral and is associated with increased sensitivity to light (photophobia). Typical associated symptoms are nausea and fatigue. Rest (sleep) in a dark room and aspirin may help. Migraine sufferers may experience hangover-like headache or a migraine attack after much lower alcohol doses than individuals without migraine. Triggers may include ethanol, histamine or tyramine. Alcohol withdrawal, which usually occurs only in chronic drinkers, can cause headache 6-24 hours after the last drink. Typical other symptoms include anxiety, shakiness, increased sensitivity to light, insomnia, loss of appetite and alcohol craving. Alcohol withdrawal syndrome is a medical emergency and should be treated in hospital. Hypoglycemia can develop after prolonged heavy binge drinking without eating; symptoms include cool, pale, sweaty skin, fast heart rate, anxiousness, headache, fainting, loss of consciousness occurring between 6 and 36 hours after stopping drinking. 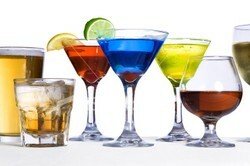 Hypoglycemia is more common in chronic alcoholics with advanced liver disease. Treatment is by an intravenous injection of glucose. Water intoxication can develop due to drinking large amount of beer without eating for several days; symptoms include headache, weakness, confusion, frequent urination and agitation . The underlying mechanism is a drop of blood sodium levels (hyponatremia) due excessive consumption of water from beer and insufficient consumption of sodium (salt). Water intoxication is a medical urgency that needs to be treated in hospital. Sulfites in wine were once believed to cause headache, but this is uncertain. White wines in general contain more sulfites than red wines, but people more commonly experience headache after red, than after white wines. If alcohol often causes you headache it is probably best if you avoid it. A very useful post. You have made an impressive start on Wizzley. Interesting post. Welcome to Wizzley, greentree!